Now That the Olympics Are Over, Is Sochi Screwed? 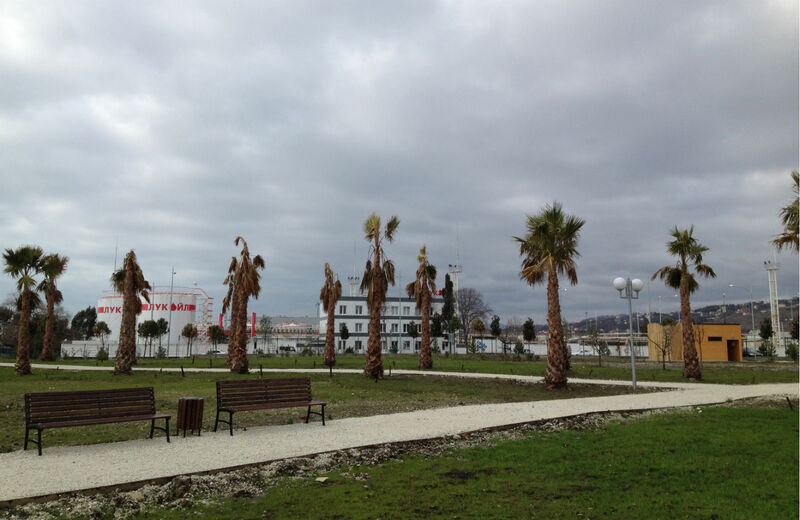 The environmental legacy of the Sochi Games includes habitat destruction, polluted waterways and razed forests. The Sochi Olympics, which began with the hashtag #sochiproblems, ended with Russia winning the medal count and enjoying a dose of national pride and international prestige. But now the authorities will be left to figure out what to do with 206 stadiums and assorted buildings, and residents will have to deal with the “Olympic legacy,” whether that’s a highway built through their yard, bulldozed homes or environmental damage in the 8,700 acres of the Sochi National Park that have been affected. The Russian government’s promise of a “Zero Waste Games” has already been discredited, and now its compensation efforts are also proving to “have only a minor effect compared to the environmental damage,” as the United Nations Environmental Programme predicted after reviewing the Sochi Olympic project in 2008. In one tragicomic example, after Russian Railways planted 55,000 compensatory trees and rare plants, more than half of them died from improper planting techniques and a complete lack of care, Russia’s state environmental watchdog found. Meanwhile, Deputy Prime Minister Dmitry Kozak’s recent claim that Sochi’s air and water have become cleaner doesn’t seem to apply to the Mzymta River, which has been polluted by chemicals and debris to the point that endangered Atlantic salmon no longer spawn here, WWF Russia head Igor Chestin wrote in a recent article. These salmon are just one among many animals suffering from habitat destruction, including red deer, wild boar, bears and ibex. But the epitome of miscarried compensation has to be the Ornithological Park that Russia promised in its Olympic application to ameliorate damage to the Imeretinskaya lowland. Once designated one of the world’s “Important Bird Areas” by BirdLife International, the lowland was filled in with gravel to create space for the coastal cluster of Olympic venues. On a cloudy afternoon last week, about a dozen geese could be spotted in one section of the park that has been covered with lawn and criss-crossed with walking paths, benches and palm trees (several parts of the reserve are now planned to double as public parks). Another section of the park located right next to the Olympic Village, though, was full of trash, wimpy trees and power boxes, and there wasn’t a bird in sight. According to park employee Sergei, who declined to give his last name, shrubs have been planted so birds can feed. He said “a lot of nature has been preserved,” but also admitted that “nature and the Olympics can’t be compatible.” The Ornithological Park can restore some bird life in the Imeretinskaya lowland, he said, although “not in the same amount” as in years past. “It’s hard to say how much it will compensate, but hope dies last,” he said, using a common Russian expression. But the president of the Russian Bird Union recently called the park a “profanation.” It doesn’t look like it will even come close to restoring this migration spot, since two-thirds of the park territory is located outside the lowland, where “there aren’t reservoirs suitable for water fowl to winter,” the Environmental Watch on the North Caucasus concluded in a recent sweeping report on environmental destruction related to the Games. Meanwhile, the environmentalists who have reported on travesties like the Ornithological Park continue to face pressure from law enforcement after Yevgeny Vitishko was imprisoned in what human rights advocates called retribution for his Olympics-related activism. Environmental Watch member Olga Noskovets and activist David Khakim, who attempted to picket for Vitishko outside Sochi city hall last week, were detained on the last day of the Olympics as they each arrived at a transport stop where they had agreed to meet. Environmental Watch has long feared that activists will face an even tougher crack down when the international media leave Sochi. Previously, Noskovets was detained for three hours at the Russian-Abkhazian border, she said. “You understand you’re in some database, a blacklist,” she told The Nation in December. The two activists face fifteen days in jail for allegedly resisting police, charges they deny.